Did you know that, as of today, there are only 11 weeks until both Christmas and Hanukkah? If you didn’t, now you do! Don’t panic! We’ve got you covered. For the next 11 weeks we will be featuring a different project each Fibertastic Friday that’s perfect to whip up for a gift. The closer we get to the holidays the easier and faster the projects will get. …Stocking Cap from Lisa Knits! 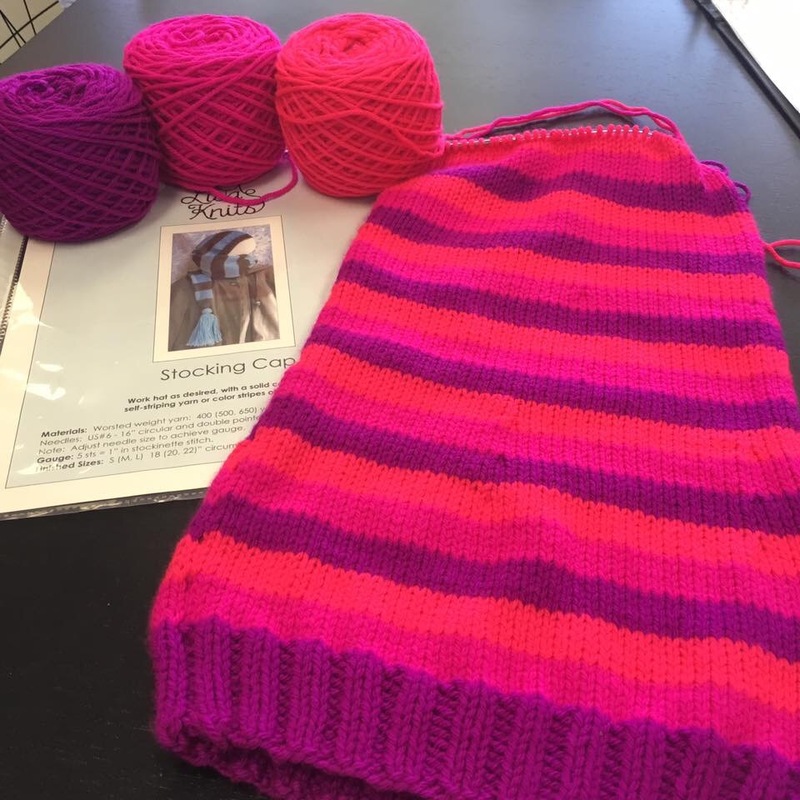 We’re currently working up a shop sample of this adorable project using Uptown Worsted in three fantastically bright colors. The total cost for this project, including the pattern but not needles, is $23. Add a fluffy soft pompom for just $5 more! Have fun and stitch on my fellow theorists!